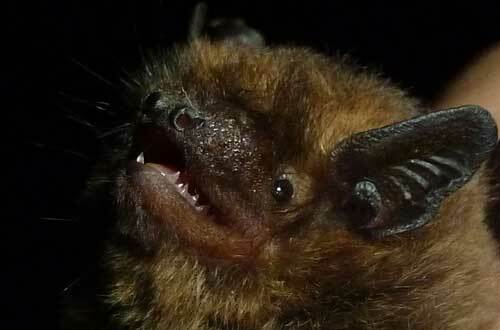 The wet weather of late, although wonderful for gardens has been less so for seeing bats. Last night was a beautiful night and the soprano roost bats were prepared to come out to feed. I usually count at an exit which has less than 20 bats. Things are looking up 140 emerged in under an hour. There was much conversation before they came out. In all counted 650 bats. Hoped the better weather lasts. This entry was posted in Uncategorized and tagged soprano pipisrelle. Bookmark the permalink.